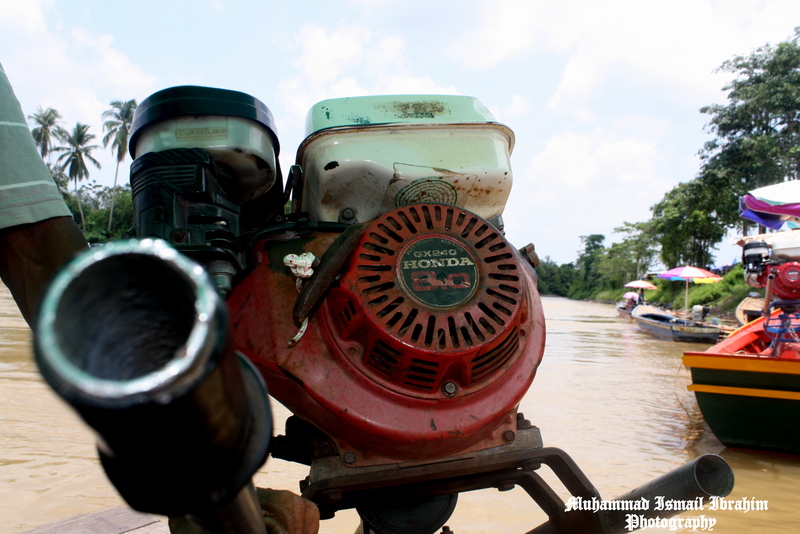 From Pasir Mas to Narathiwat: Mundok Free-Zone. 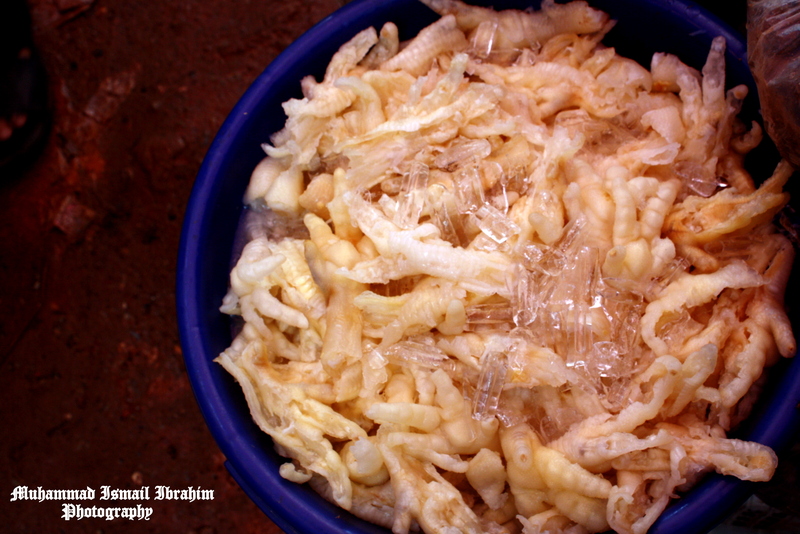 Mundok, or locally best known as Munok located in the southern provinces of Narathiwat, Thailand. 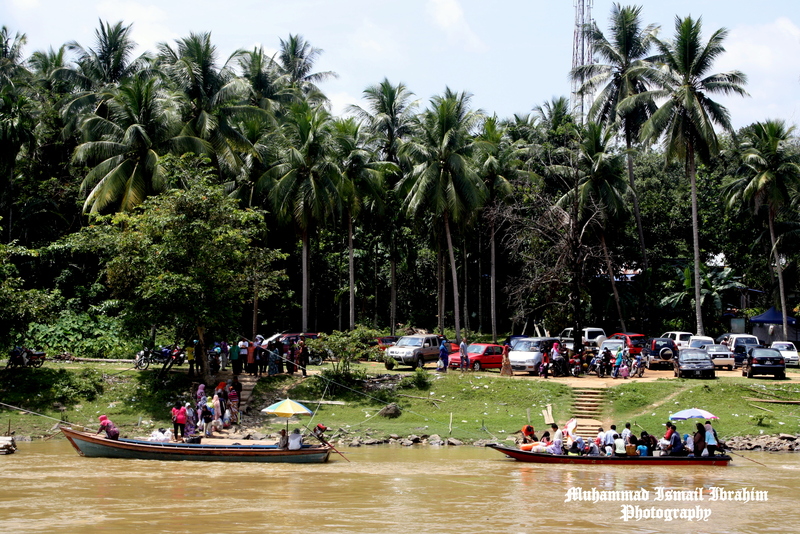 The border of these two countries were separated by Kolok River or famously known by Kelantanese as Sungai Golok from upstream of Jeli to downstream of Pengkalan Kubor, Tumpat. 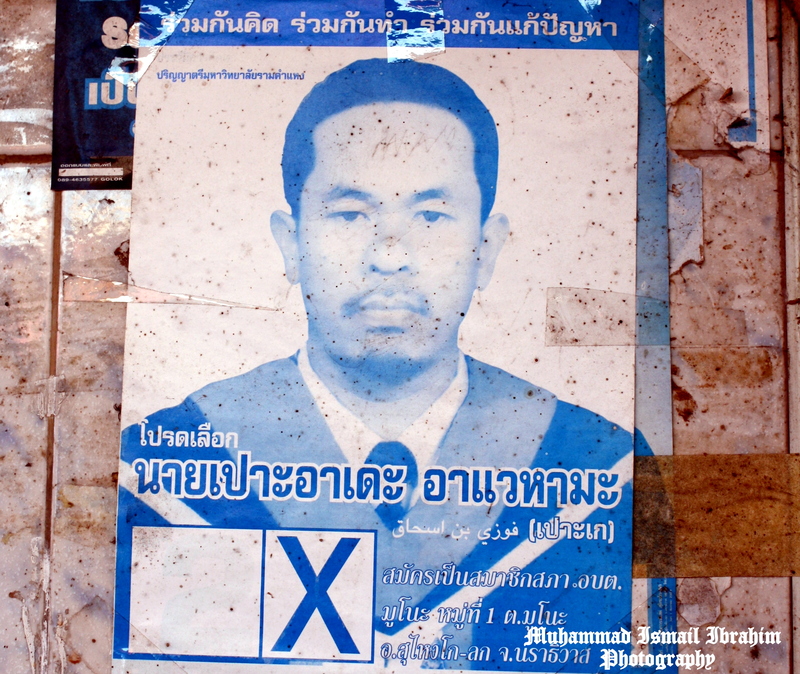 Malaysia lies to the south of the border while Thailand lies to the north. 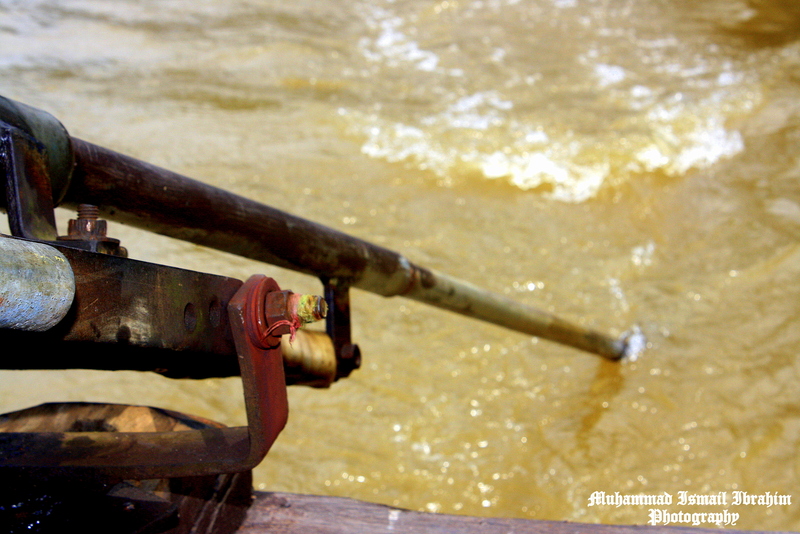 The Kolok River forms the easternmost 95 km stretch of the land border. 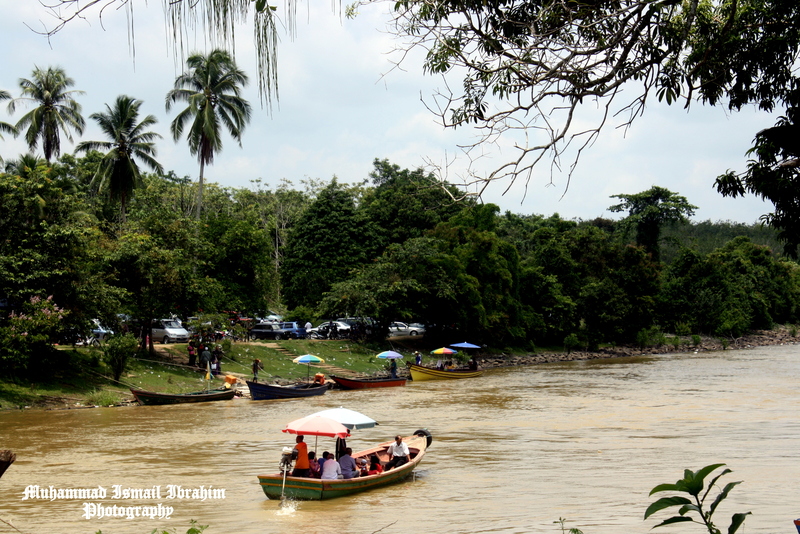 The land border is based on the 1909 treaty between Thailand, then known as Siam, and the British which started to exert its influence over the northern Malay states of Kedah, Kelantan, Perlis and Terengganu in the early 20th century. 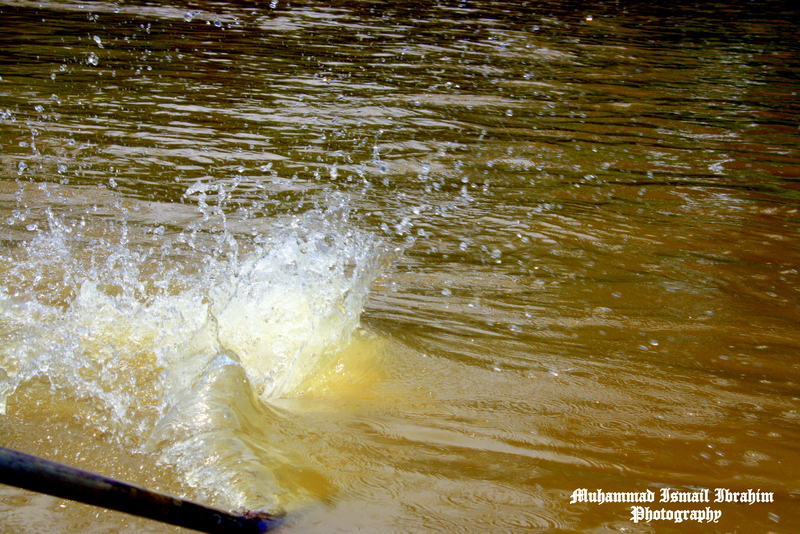 It was situated in a remote area of Banggol Chicha-Jeram Perdah in Pasir Mas about 10 minutes off the city Pasir Mas or 30 minutes drive from Kota Bharu. Before the emerge of Mundok as a new low-priced area, usually, people have to drive straight away from Kota Bharu to Rantau Panjang’s duty-free zone or Pengkalan Kubor of Tumpat to discover economical and affordable clothes, utensils, Siamese rice and firecracker (it was legal to sell such things out there). 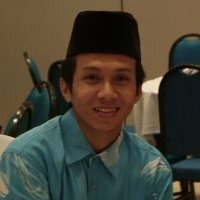 In the early 2010, Mundok took over from Pengkalan Kubor and Rantau Panjang as new and alternative destination for low-priced goods in Kelantan. It is understood that the prices for such goods in Mundok much cheaper than Rantau Panjang, Pengkalan Kubor and Kota Bharu (Wakaf Che Yeh). Mundok simply the right place to shop. 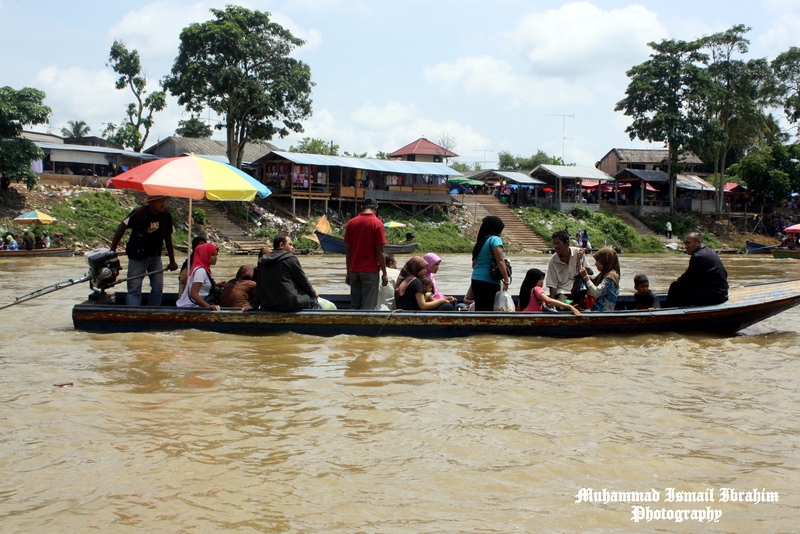 The area was patrolled by border troops along the Kolok river within Mundok and Pasir Mas area. 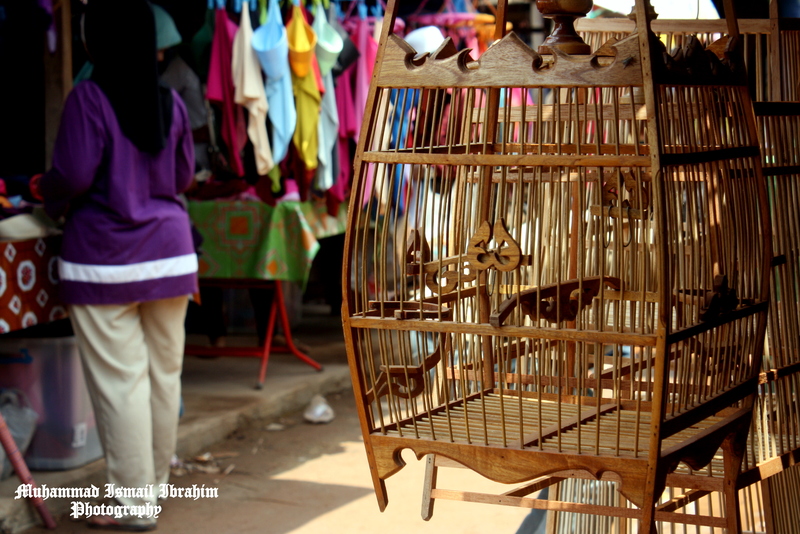 Mundok Market usually opens twice weekly, Monday & Friday. 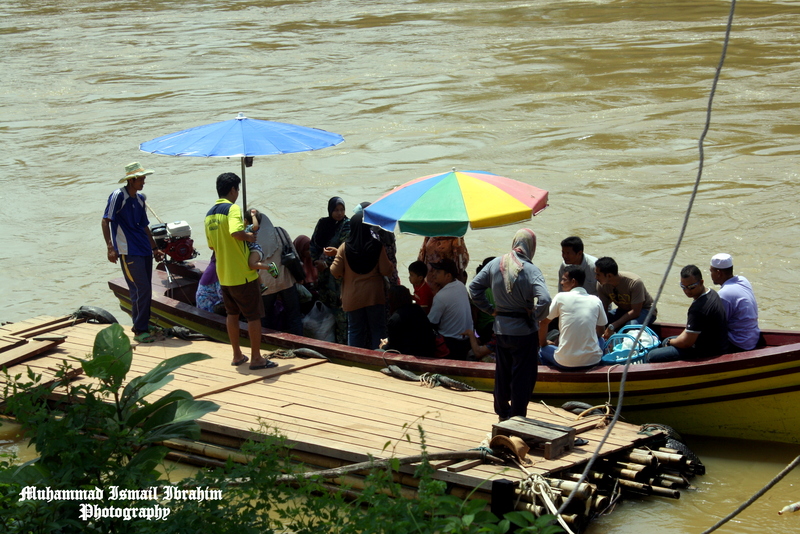 It is recommended to be there on Monday to avoid long traffic congestion as Friday is off day in Kelantan, and surprisingly, border-pass or passport is an exception to cross the clear border through rushing river flow of Kolok using long boat for only RM2 going back and forth. 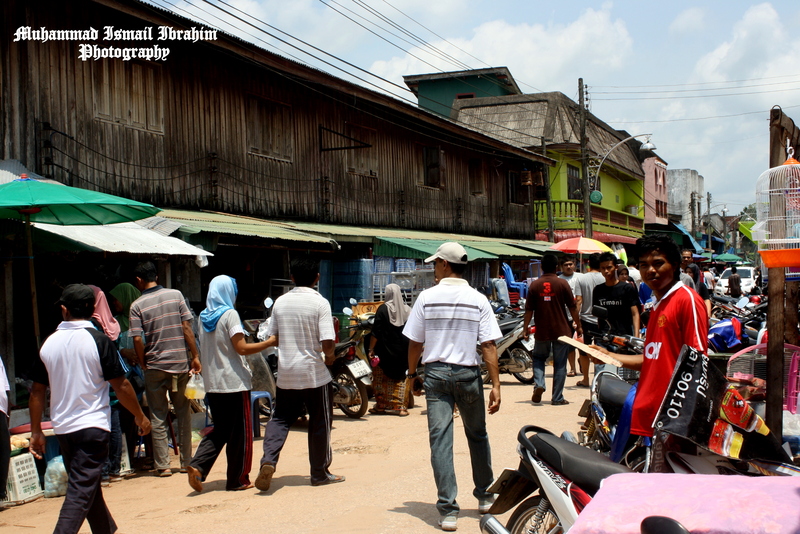 Mundok Market located only 11 kilometers from Golok outskirts. 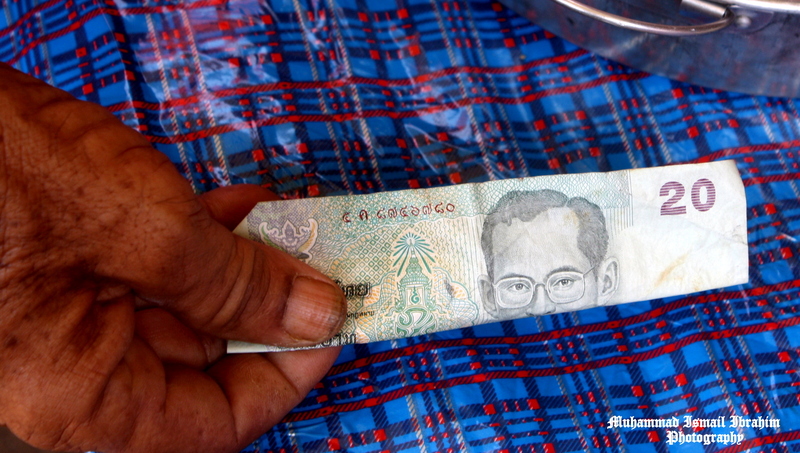 There are two-currencies being used there, which are Ringgit Malaysia and also Bath Thailand (Malay native in Southern Thailand Yala, Pattani and Narathiwat often called it as Kourk). 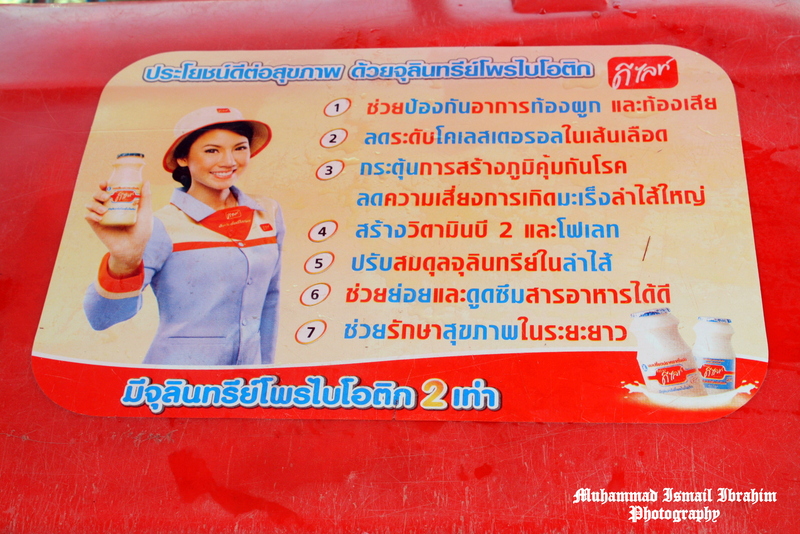 The exchange rate of RM 1 is equivalent to 10 Bath (Kourk). No Pasport.. No Border Pass.. No Custom Checked. Mundok Market: Simply low-priced & safe. 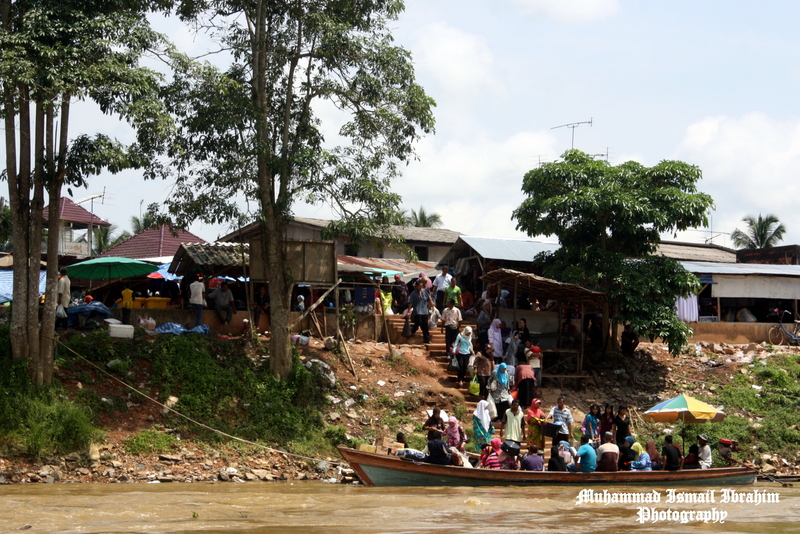 Mundok Market from the river. Bamboo rafting set as a jetty. 20 Bath is equivalent to RM 1. Most groceries accept both currency. Pickle chicken legs is good for health. 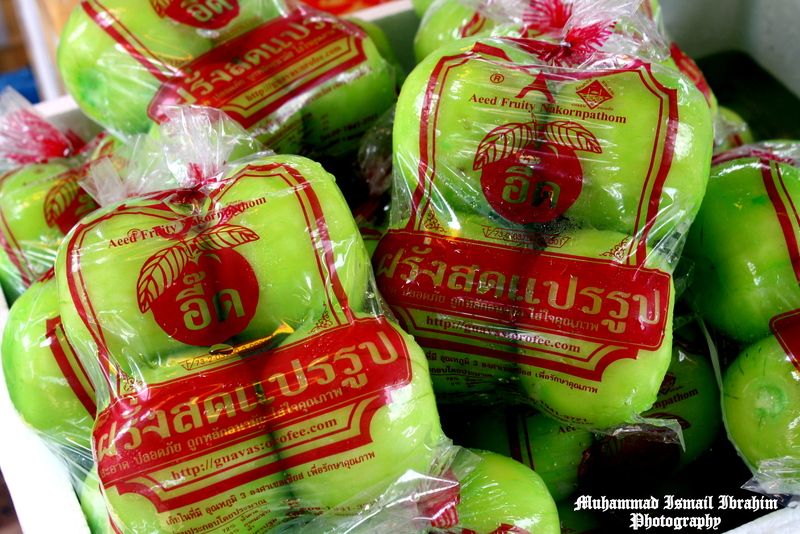 Apple Guava: Product of Thailand. 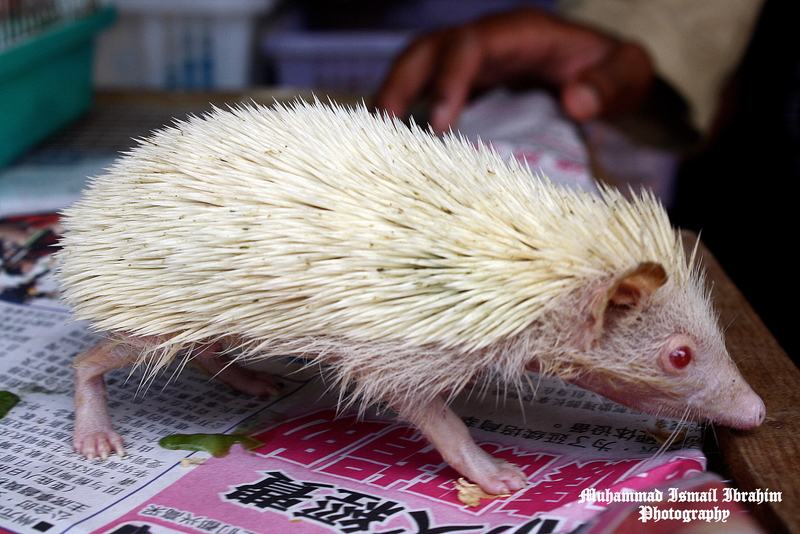 This baby porcupine (also called porcupet) rarely found in albino. Porcupines are rodents with a coat of sharp spines, or quills, that defend or camouflage them from predators. Passenger boat back and forth & take and drop. « Kelantan & Ramadhan | Episod I : Badri Radzi. biasalah, mundok lagi murah dari tempat2 lain. mesti ada complaint dari rantau panjang atau pengkalan kubor.